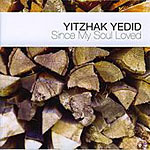 Thirty two year-old Israeli pianist Yitzhak Yedid has issued a considerable statement. In Myth of the Cave, he has created a work with a heady high concept that's still eminently musical. His composed suite with improvised passages avoids falling into the usual jazz trappings. It suggests classicism without wading into pretension. Plato's "myth of the cave" parable is an argument that we cannot be sure we know reality. In it, a group of people is chained inside a cave, only able to look forward. A fire behind them casts shadows on the cave wall, which is the only reality they know. One of them breaks free and ventures outside and, when he returns to tell them of the world of sun and trees, is ostracized and attacked as a heretic. The music makes enough sense if the track-by-track notes are used as a guide but, more importantly, stands on its own as a meditation on life, sorrow and apprehension. Canadian clarinetist Francois Houle possesses a beautiful tone, full and confident, something like Don Byron without the camp. Ora Boasson's bass is rich and low, providing a broad foundation for the drummerless trio. The leader's piano is lyrical, full of filigree without imposing on the clarinet-led melodies. The pieces themselves come off as through-composed, although Yedid explains in the notes that there are passages where the other players were free to either improvise or compose a corresponding part. This unusual approach, as well as subtle repeating motifs occuring throughout, create a slow cohesion. 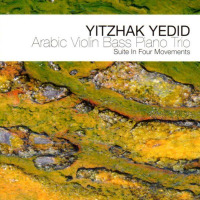 Yedid, who studied with Ran Blake and Paul Bley at the New England Conservatory of Music, is clearly a smart cookie, and flirting with such formalism could prove to be his downfall. Here, fortunately, he breaks free from the chains of intellectualism and spends some time in the sun. Personnel: Francois Houle - Clarinet, Bass Clarinet; Yitzhak Yedid - Piano.